Often the least exciting part of your job as an entrepreneur or business owner are those fiddly admin tasks. You want to spend your time building your client base, providing your services and networking with like-minded individuals….not sitting behind a computer trying to update your website or creating a graph. So why not let your VA do all this for you? As well as the more basic administrative tasks, I offer a host of additional assistance to free up your time and streamline your business. Ensure your business is ticking over nicely! You are running your business and you want it to grow and spend time with your clients, evolve your offering or get out and network to develop new business contacts. Imagine how much extra and precious time you could gain if you minimized the time lost doing admin. Got an important meeting coming up? Need to get your message across with impact? Let us do that PowerPoint or others like Prezi presentation for you. Don’t like all those numbers? We love designing and creating Excel spreadsheets and databases with the right formulas, graphs, pivot tables etc. Need to find out what your competitors are up to? Brief us, then let us conduct online research and/or competitor analysis for you. Want to organise a client event? We’ll take care of all the planning and coordination. Trying to balance work commitments with family and household administration? I can do that too. Check my blog 5 Great Benefits of Hiring a Virtual Assistant to learn more about the benefits from working with a virtual assistant! There are always moments in a business when something ‘big’ or ‘different’ happens. Take the new legislation that came into effect in May 2018 about data capture, use and privacy – called GDPR. GDPR affects all business, no matter how big or small. We all need to comply. In the spirit of one-step-ahead, VALady invested in becoming a Certified GDPR VA. I’ve been able to help our existing clients ensure they are legally compliant, and I can do this for future clients too. Perhaps, you have a new project that requires a lot of planning and follow-up. I can take on that essential project manager role for you, giving you the peace of mind that things are on track, on time and on budget. I’ve also found that my clients occasionally want an outside and independent opinion about something. When you work on your own, it’s difficult to brainstorm with yourself! We can be that sounding board or sparring partner! In short, when you think you could do with some extra support, think VALady. As one of the six official languages of the United Nations, Spanish is spoken by millions of people all over the world. While Google Translate and other language tools are great, they’re not 100% accurate and definitely don’t pick up on the subtle nuances of conversation, grammar or tone. I’m bilingual Spanish and English. I can make sure that those unintended ‘lost in translation’ moments are a thing of the past, and that your communication is clear and smooth between the different parties. From document translation to liaising with Spanish speakers, from checking legal documentation to creating Spanish social media posts… and whatever other translation needs you may have, you never have to worry about your message being miscommunicated or misconstrued. 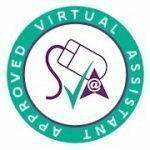 I have outlined some of the benefits in this blog – How can a bilingual Virtual Assistant help you? I can also be your ‘bridge’ to new business opportunities in Spanish-speaking countries. That’s pretty good, isn’t it? Your marketing strategy needs to be targeted & relevant, clear & consistent. When you’ve got a million and one other things to do, you might miss the opportunity to share a really relevant Tweet or Instagram post that would get the attention of a prospect or client. Email campaigns can be a really effective way to boost sales, but they take time to create and run and to do the all-important post-campaign impact analysis. Migrate your email contacts to a MailChimp account to make it easy to run email campaigns. Fed up with your tech support guy or web design agency that never replies to your emails or takes weeks to make all the necessary changes for your business to succeed? VALady website management services ensure that your online presence is appealing, up-to-date and doing what it’s supposed to. Namely, help you develop your business. Go to my blog How To Maintain Your Website to learn more about how I look after my clients’ websites. Every time an existing or potential customer contacts you is a business opportunity. Whether they are asking about prices, downloading some information you have shared, or following up about a product or services they’ve bought or are interested in, they’ve reached out to you. Don’t let that precious moment go to waste! Gathering and using data is essential to today’s business environment. Customer Relationship Management (CRM) tools are designed to capture data about client interactions and turn it into information and insights about and for your business. I use a variety of online CRMs such as Salesforce and Capsule. I can build your client database, set up individual fields and generate reports as and when needed.